Regardless of whether it was iOS 12 or watchOS 5, there are a lot of new Siri features coming. 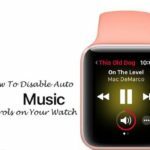 When watchOS 4 was released, Apple included a new Siri Face for Watch owners. Apple claimed that this was going to be the “Smartest Watch Face Ever”. 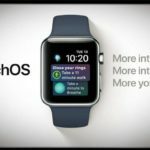 Once watchOS 5 hits the Watch this Fall, there will be a new and improved Siri Face. Today, we’re going to take a look at some of the new features coming to the Siri Watch Face. Instead of relying more on your device, the new Siri Face will take advantage of machine learning. This will allow for your different complications to be more personalized across the board. For example, if you are an avid sports fan, the score of your favorite team will appear. If you are nearing the time for you to leave work, then a Maps complication will give you an idea of traffic. There will also be other suggestions to interact with the Music or Podcast app, depending on your routine. Finally, Apple is opening the Siri Face to third-party developers, so your favorite apps will appear as well. When it comes to the actual set up of this new Siri Face, things are pretty straightforward. Apple didn’t adjust the way that you actually customize the watch face to your liking. While this gets the Siri Face set up for your Watch, there are even more things to customize. You will want to go through and adjust the different Data Sources that the Siri Face will use. After everything has been customized, you will be able to set the Siri Face as your current Watch Face. Additionally, if you have already enabled the Siri Watch Face, you can swipe to the right on your Watch until you find the face. Thanks to the Machine Learning features, these should help make the watch face even more useful over time. 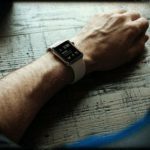 Apple seems to really be ramping up development with Siri and watchOS 5 is just another example. Let us know what you think about the new Siri Watch Face in the comments below. Do you think we will see even more features added in the near future? Or do you think it will be smaller updates from here on out?